Made with premium, powerful 60 mm drivers. 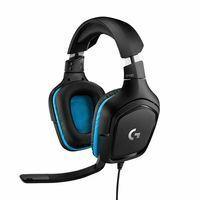 GHOST RECON WILDLANDS GAMING HEADSET: In worldwide partnership with the iconic ‘Ghost Recon’ license. 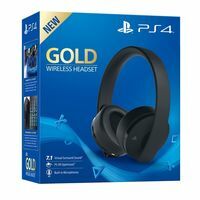 Providing audio efficiency designed for PlayStation®4, with electronics created to optimize your sound on your own system! Set up is easy with Plug n’ Play on PS4™ and PS4™ Pro. Made with premium, powerful 60 mm drivers. Feel the intensity of the game with over-boosted bass frequencies and an optimized frequency response curve for bass/medium & high frequencies. Hear FIRST / react FIRST / kill FIRST! The Y Sound Commander: A control panel that plugs directly into the DUALSHOCK 4 with 7.1 Virtual Surround Sound technology that allows gamers to precisely pinpoint the direction of each sound, ensuring maximum immersion on the battlefield. Includes bass power and volume status lights. The headset is auto-powered with an inline battery located in the Sound Commander, powering the active bass 7.1 and Virtual Sound features. The ultimate combination of comfort and noise isolation. Providing 100% memory foam earpiece cushions and double electro-acoustic bass amplification combined with electronic bass boost built into the controller. In worldwide partnership with the iconic license. Created with the Ghost Recon Wildlands unique aesthetic. 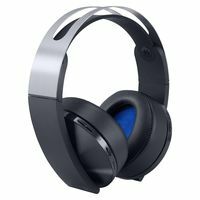 Officially licensed gaming headset for perfect sound on PlayStation 4! A unique control panel plugged directly into the DUALSHOCK 4. Made with technology powered by Thrustmaster, Texas Instrument & AM3D. 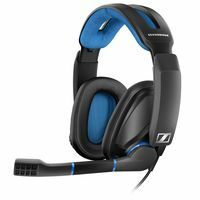 The headset is auto-powered with an inline battery located in the Sound Commander. This powers the active bass and 7.1 Virtual Surround Sound. Gamers can utilize this play & charge functionality for non-stop playing. Instant in-game access to audio adjustment features and precise indicators. The most optimized frequency response curve for bass/medium & high frequencies. 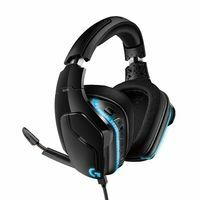 GHOST RECON WILDLANDS GAMING HEADSET: In worldwide partnership with the iconic ‘Ghost Recon’ license. Providing audio efficiency designed for PlayStation®4, with electronics created to optimize your sound on your own system! Set up is easy with Plug n’ Play on PS4™ and PS4™ Pro.Made with premium, powerful 60 mm drivers. Feel the intensity of the game with over-boosted bass frequencies and an optimized frequency response curve for bass/medium & high frequencies. Hear FIRST / react FIRST / kill FIRST!The Y Sound Commander: A control panel that plugs directly into the DUALSHOCK 4 with 7.1 Virtual Surround Sound technology that allows gamers to precisely pinpoint the direction of each sound, ensuring maximum immersion on the battlefield. 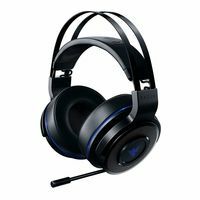 Includes bass power and volume status lights.The headset is auto-powered with an inline battery located in the Sound Commander, powering the active bass 7.1 and Virtual Sound features.The ultimate combination of comfort and noise isolation. Providing 100% memory foam earpiece cushions and double electro-acoustic bass amplification combined with electronic bass boost built into the controller.OFFICIAL PRODUCT: Y-350P HEADSET GHOST RECON WILDLANDS EDITION & PLAYSTATION 4AUDIO EXPERTISE made in collaboration with Sony Interactive EntertainmentIn worldwide partnership with the iconic license.Created with the Ghost Recon Wildlands unique aesthetic.Officially licensed gaming headset for perfect sound on PlayStation 4!THE MOST POWERFUL BASS ON CONSOLE EVERPremium, powerful 60 mm drivers: Feel the intensity of the game thanks to over-boosted bass frequencies!Double electro-acoustic bass amplification made possible through the earpieces’ design. Also combined with electronic bass boost, built directly into the controller.7.1 VIRTUAL SURROUND SOUNDThe 7.1 Virtual Surround Sound technology allows gamers to precisely pinpoint the location of any sound, ensuring maximum immersion on the battlefield!Gamers can now feel the intensity and the full impact of explosions and gunfire as if they were part of the assault squad.HEAR FIRST / REACT FIRST / KILL FIRSTTHE PERFECT COMBINATION OF COMFORT AND ISOLATIONMade with 100% memory foam cushions on both ears and headband cushions to provide outstanding comfort. 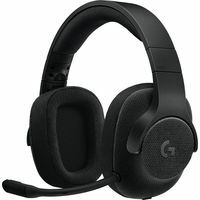 These large, ultra-soft ear pads and headband covered in thick, soft foam padding provide extreme comfort and effective, passive, noise isolation.Includes a detachable and adjustable voice targeting microphone, designed to pick up your voice only for the most efficient communication with your teammates.Y SOUND COMMANDER CONTROL PANELA unique control panel plugged directly into the DUALSHOCK 4. Made with technology powered by Thrustmaster, Texas Instrument & AM3D.7.1 Virtual Surround Sound technology allows gamers to precisely pinpoint the location of any sound, ensuring maximum immersion on the battlefield!Know exactly where your opponents & team members are located thanks to 7.1 positioning. 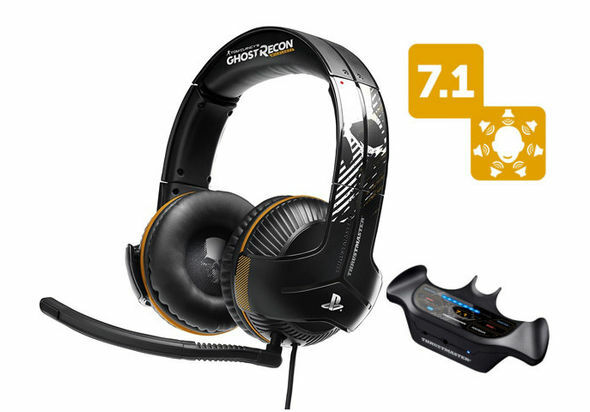 Hear first / React first / Kill first.Integrated sound card within the controller.AUTO-POWERED HEADSETThe headset is auto-powered with an inline battery located in the Sound Commander.This powers the active bass and 7.1 Virtual Surround Sound.Gamers can utilize this play & charge functionality for non-stop playing.BACKLIT VOLUME STATUSInstant in-game access to audio adjustment features and precise indicators.Using one color code per function, gamers know their audio status at all times. 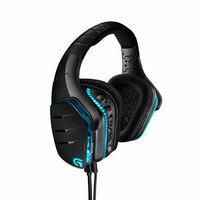 Includes adjustable master volume and adjustable bass volume.Allows quick and precise control adjustments.BETTER AUDIO PERFORMANCE THAN THE COMPETITIONPerfect bass delivery, ensuring optimal rendering of in-game explosions.Balanced mid-range frequencies for stable reproduction of other players’ voices.Unsaturated treble guaranteeing crystal-clear rendering of the sounds of incoming missiles in games.The most optimized frequency response curve for bass/medium & high frequencies.